Two states have waited more than 30 years since last raising their gas tax rates. 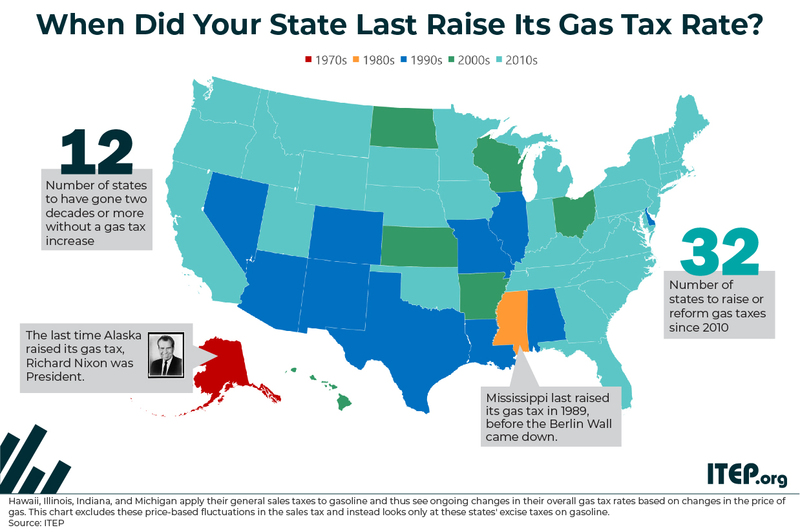 Alaska last boosted its gas tax in 1970 and Mississippi last did so in 1989. Gas taxes cannot adequately fund infrastructure projects unless they are adjusted to keep pace with rising construction costs and structured to offset revenue losses from improvements in vehicle fuel-efficiency. State gas tax rates that have not been updated in many years, or even decades, have seen significant declines in their purchasing power. Those declines are negatively affecting funding of economically vital infrastructure projects. Fortunately, many states recently have made significant progress in updating their gas tax rates. In total, 32 states have raised or reformed their gas taxes since 2010. This includes states that had resisted doing so for decades such as Iowa, Maryland, Massachusetts, Montana, New Hampshire, New Jersey, Oklahoma, South Carolina, and Tennessee. These figures are based on the date that each gasoline tax increase took effect, rather than the date on which it was signed into law. While a few of these increases occurred automatically because of inflation indexing, most were enacted via legislation. 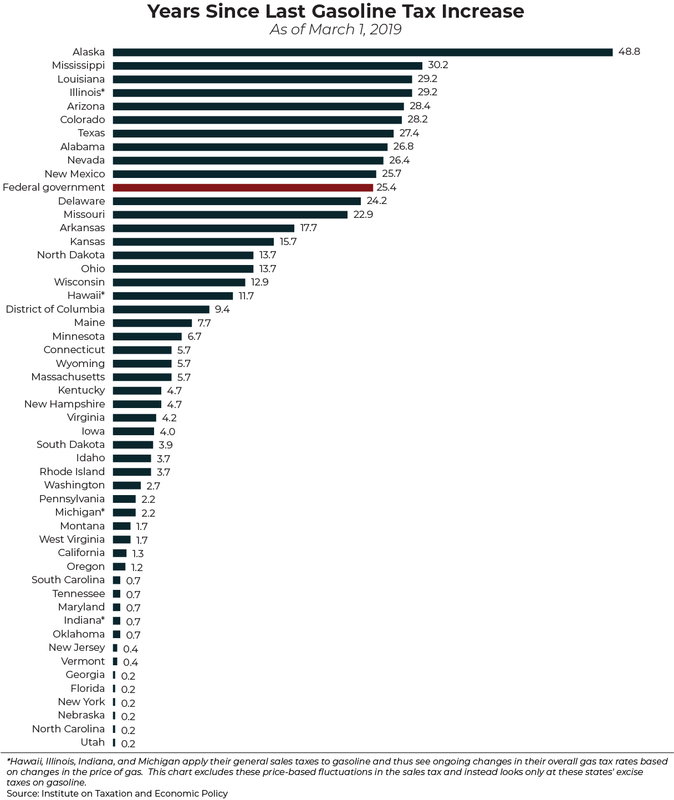 The 27 states that raised gas taxes via legislative action since 2013 are identified in: Davis, Carl. “Most States Have Raised Gas Taxes in Recent Years.” Just Taxes Blog. May 21, 2018. http://itep.org/most-states-have-raised-gas-taxes-in-recent-years .